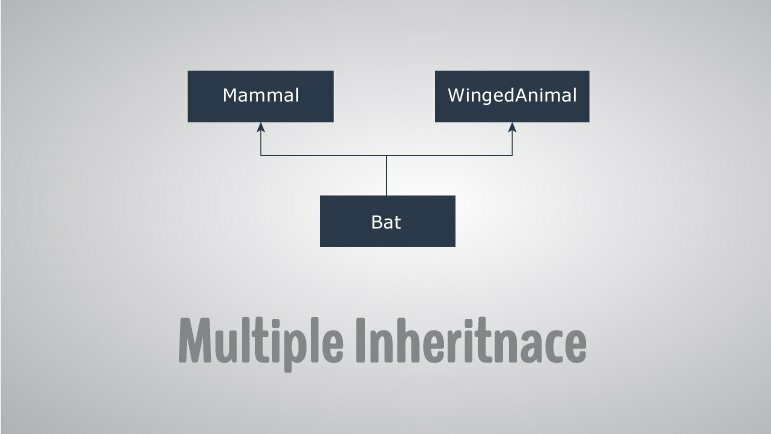 In this article, you will learn about different models of inheritance in C++ programming: Multiple, Multilevel and Hierarchical inheritance with examples. Inheritance is one of the core feature of an object-oriented programming language. It allows software developers to derive a new class from the existing class. The derived class inherits the features of the base class (existing class). There are various models of inheritance in C++ programming. In C++ programming, not only you can derive a class from the base class but you can also derive a class from the derived class. This form of inheritance is known as multilevel inheritance. Here, class B is derived from the base class A and the class C is derived from the derived class B. In this program, class C is derived from class B (which is derived from base class A). The obj object of class C is defined in the main() function. When the display() function is called, display() in class A is executed. It's because there is no display() function in class C and class B. The compiler first looks for the display() function in class C. Since the function doesn't exist there, it looks for the function in class B (as C is derived from B). The function also doesn't exist in class B, so the compiler looks for it in class A (as B is derived from A). If display() function exists in C, the compiler overrides display() of class A (because of member function overriding). In C++ programming, a class can be derived from more than one parents. 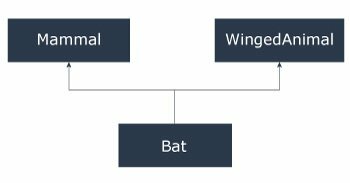 For example: A class Bat is derived from base classes Mammal and WingedAnimal. It makes sense because bat is a mammal as well as a winged animal. Mammals can give direct birth. The most obvious problem with multiple inheritance occurs during function overriding. Suppose, two base classes have a same function which is not overridden in derived class. obj.base2::someFunction();   // Function of base2 class is called. If more than one class is inherited from the base class, it's known as hierarchical inheritance. In hierarchical inheritance, all features that are common in child classes are included in the base class. For example: Physics, Chemistry, Biology are derived from Science class.